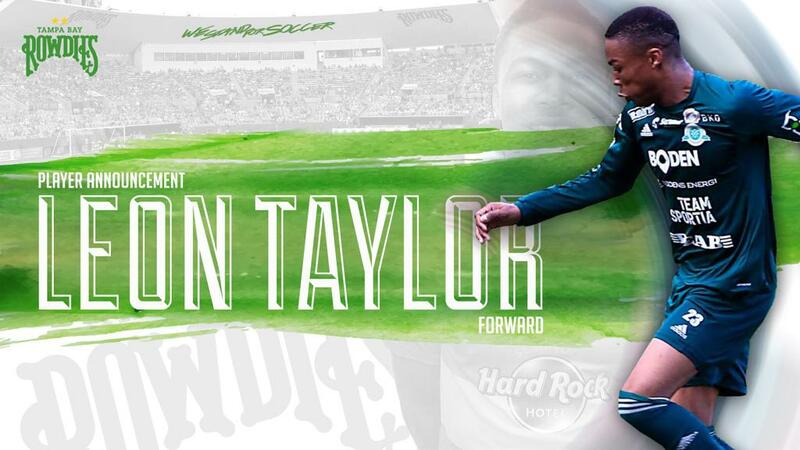 ST. PETERSBURG, Fla. (April 5, 2018) — The Tampa Bay Rowdies have made an addition to their roster, signing forward Leon Taylor to their 2018 roster. Per club and league policy, further contract details were not disclosed. Taylor, 24, has trained with the Rowdies for the last several weeks before earning a contract. The dynamic forward is capable of playing from either a central or wide position. He played college soccer at Midwestern State in Texas after transferring from Oral Roberts. After his college career, Taylor made the jump to Europe with Bodens FK in the Swedish Division 2. Taylor returned to the United States to play with Premier Development League sides Laredo Heat and Midland-Odessa Sockers FC in his native Texas. This year, Taylor spent preseason with defending USL Western Conference Champion Swope Park Rangers but did not sign.